These learning activities cover just about everything in the IB guide for this topic. Lesson plans include resources to use on an interactive whiteboard and worksheets to print. There is a mix of laboratory work, theory lessons, and assessment materials with model answers. Time: 1hr. Beginning with a quick review of the terms; element, atom, molecule and ion this lesson answers these questions. What is so special about carbon and why is it found in the molecules in living things? What is "metabolism" and how do enzymes make bigger molecules from smaller ones and vice versa? Students learn how to draw the following molecules; glucose, ribose, saturated fatty acid and an amino acid. They answers questions which gives practice in recognition of each molecule activity. This is followed by an extension reading on vitalism and urea. Using online flashcards and a database, students learn how to identify biological molecules and to distinguish between them. Examples included are monosaccharides such as alpha-D-glucose, beta-D-glucose and D-ribose, a disaccharide and lipids such as a saturated fatty acid, a triglyceride, and a phospholipid. There is also a polypeptide, two amino acids linked by a peptide bond and a generalized amino acid. Time: 1hr. This lesson uses a screen cast to introduce a simple diagram of hydrogen bonding in water. There are a range of activities to help student to understand how these hydrogen bonds affect the properties of water and how this affects living things. This includes activities to compare water and methane as well as solubility of organic molecules in water using the possibility of extra terrestrial live as a context. Time: 1h A teacher led description of how two glucose molecules form a dissacharide by consendation. Followed by an activity to help students to do the same for two amino acids and three fatty acids with glycerol, as in a triglyceride. Time: 1h A practical laboratory activity in which students test different soft drinks for the type of sugar they contain. It is good practice of practical skills for internal assessment and illustrates the differences between polysaccharides, monosaccharides and disaccharides. Students carry out a calorific test on lipids and carbohydrates. They use visualisations from jmol of the structure of cellulose and starch (amylose & amylopectin) and glycogen to answer questions about how each molecule relates to its function. In November 2013, the U.S. Food and Drug Administration (FDA) required the U.S. food industry to completely phase out artificial trans-fats. Why did they do this? This lesson looks at how we modify molecules like fatty acids in the production of food. What is the evidence that trans fats are dangerous in the diet and how can we evaluate the quality of these studies? Students use two methods to calculate their own BMI and then evaluate them. This short lesson plan could be a homework activity. Students watch a screencast showing simple diagrams to explain the formation of a dipeptide. This builds from basic SL knowledge of amino acid structure. There are slides of further details and some IB style questions. Time: 1h Knowing the four levels of proteins structure help us understand protein functions in the body. In the first activity students model the different components of protein structure using beads and pipe cleaners in the lab. With this understanding students research some functions of proteins and the discover a curious protein folding computer game. Understanding which proteins are active in any one cell at any time is the new holy grail in cancer research and proteomics is already promising huge opportunities for individualised medicine in the near future. Time: 1h This lesson answers the question, "How do enzymes work?" Students complete some research, work with an online animation, make structured notes using a worksheet then test their knowledge with some self-marking multiple choice questions. Time: 1h Following a short teacher demonstration students carry out a circus of four simple enzyme experiments. These illustrate the effects of Temp, pH and concentration on three enzymes. Most importantly some essential points for design of experiments are identified and lots of practical method are introduced. Time: 1h Students investigate the commercial uses of enzymes and in particular how the use of lactase in food production can help people who are lactose intolerant. A compilation of video clips explains the main issues and a data analysis activity coupled with some research complements the video introduction. Time: 1h Students learn how to draw DNA structure using a screencast and revision flashcards. While the student completed the worksheet the teacher has the freedom to assist students individually. There are also IB style questions to answer and an arcade game extension activity. Time: 1h Students extract DNA from an onion and a banana using simple techniques. This experiment has an IB twist by aiming to test the hypothesis that DNA is universal, and students are asked to evaluate whether the experiment can provide evidence to support this hypothesis. The worksheet includes questions which help students to practise writing answers like those in IB exams. Time: 1h The central dogma of molecular biology begins with DNA replication. It's really the essence of inheritance and even of life itself. At SL there are just five key ideas to understand. This lesson leads students through the process of DNA replication and offers guidance with IB exam question answers. There is also an online game from the Nobel Prize. Time: 1h Using an animated visualisation of RNA polymerase students will learn how to describe the process of translation in simple terms. In order to do this a good knowledge of the structure of RNA is important. The first activity covers these basic facts and the last part of the lesson uses an IB sytle question as a plenary activity. Time: 1h This lesson includes a bit of awe and wonder. The discovery of the biochemical mechanism of Crick's "Central Dogma" is well documented biological research. A short animation of a mRNA molecule and ribosome in action is followed by some "web-quest" research from which students produce a summary diagram on A3 paper with notes to explain translation. There is an excellent online Transcription and translation web "game" to assess student understanding at the end. Time 1h With the smell of caramel from the burning glucose students discuss the need for metabolic pathways in respiration. A card sort activity and discussion will outline the main ideas for SL respiration, and there is a series of true / false statements which help students to make some revision notes. Time: 1h Two nice experiments, the first looks a respiration rates in fly larvae and the second links the structures of different carbohydrates to the rate of respiration in yeast. This is an opportunity to discuss the ethical use of animals in experiments, an important part of planning for the IA investigation. 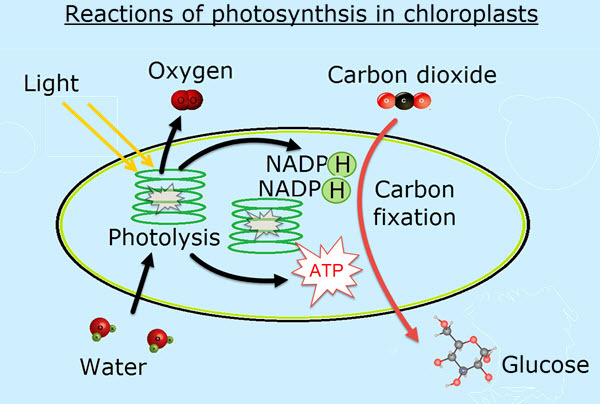 Time: 1h Standard level students need to know about photolysis and the light independent reactions which take place in the stroma but with only simple details. This activity leaves out the complexity and gives students a clear understanding of the basic parts of photosynthesis. The second part of the lesson includes a short video and questions about the construction of an absorption spectrum graph. 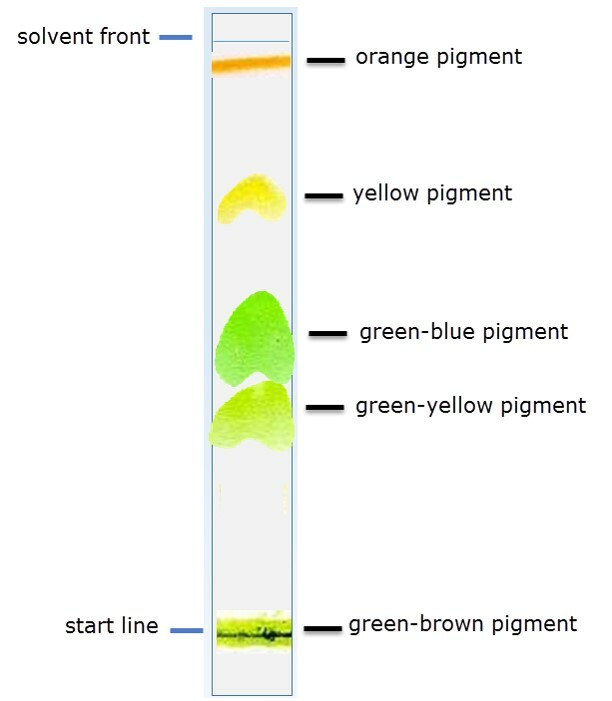 Time: 1h Students investigate a simple practical method of separating photosynthetic pigments using paper chromatography (or thin layer chromatography). Following this there is an animation of chromatography and some slides which outline how to calculate Rf values and identify pigments. Activity three outlines work for conclusions and evaluations. It includes some paper three style questions about the technique and the results analysis. Time: 1h This activity introduces a simple method of measuring the rate of photosynthesis and leads students to design their own investigation of a factor which affects it. A second activity illustrates how the same could be achieved using a simulation. In a final activity using Scratch a more open ended model is introduced and students can test a range of hypotheses. The results of the wet lab could be compared to those of this final simple simulation. This experiment page could be used as an introduction to planning skills for the IA individual investigation. It could also illustrate how a model could be used to produce testable predictions for a wet lab.